Thanks to the watch’s interchangeable double tour straps, the Selleria Strap You has a new feminine allure, lit-up also by the new Astuccio dial designed by Karl Lagerfeld. Feminine and sublimely elegant, the Selleria Strap You comes in a various mix of materials and surprising color combinations. The double tour straps in calfskin leather are skilfully crafted in the FENDI ateliers in Italy and embellished with flowers or multi-colored studs. 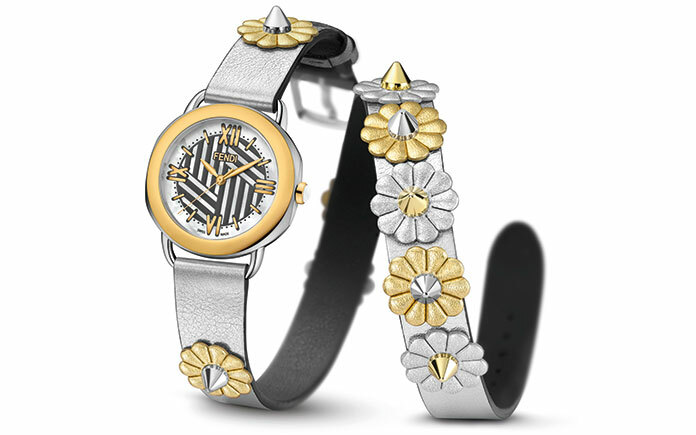 The watch dial in mother-of-pearl is enhanced by the Astuccio design in anthracite or yellow gold tones. This iconic pattern is inspired by a Karl Lagerfeld sketch realized in 1971 for the iconic Astuccio fur. 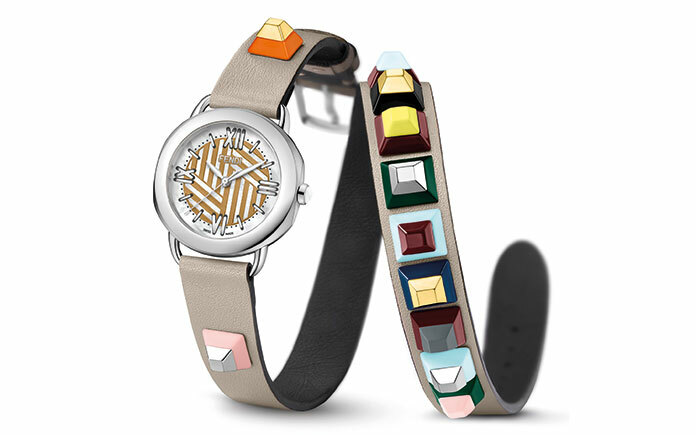 The dial features hand-stitched Roman numerals as indexes to celebrate the FENDI craftsmanship. There are seven different strap versions in various colors, each giving a very new look, while the patented interchangeable strap system allows to easily change the strap by turning the case back. Playful and sophisticated, the Selleria Strap You is an exciting new customizable creation. Cool yet elegant, it is designed for women who seek sophistication with a twist of fun!